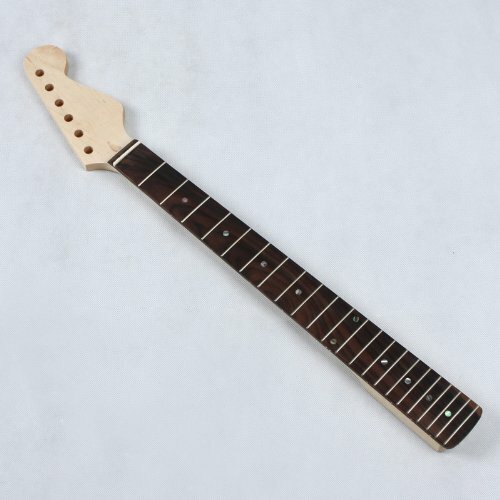 Strat type guitar neck. Imported Canadian maple neck and Indonesian Rosewood fingerboard. 6.35mm colorful position markers made of shells. The fingerboard is fitted with black dots (position markers) and 22 frets.